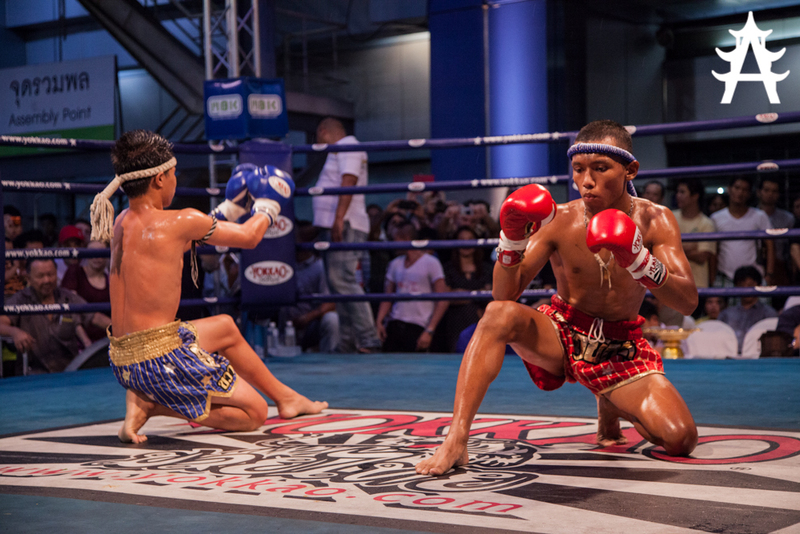 Who would have guessed it: Thai Boxing is the national sport of Thailand. And that puts it pretty high on the list of things you shouldn’t miss when visiting Bangkok, or another part of Thailand. 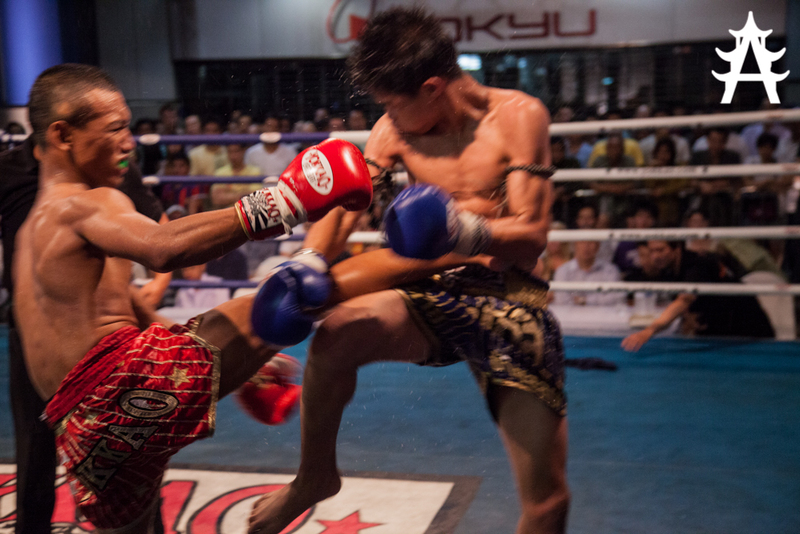 There are several places where you can watch live Thai Boxing in Bangkok. One place is the Lumpini Stadium, where you can watch several matches for very cheap (100 Baht). Another, much pricier option is the Ratchadamnoen Stadium where tickets start at 1000 Baht. 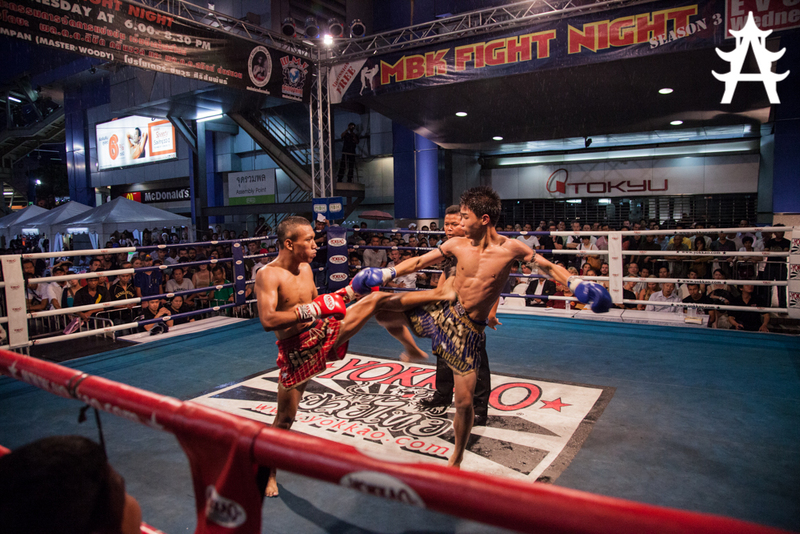 I decided to go for the third, free option, the MBK Boxing Night, that happens every wednesday in front of the MBK Shopping Center close to National Stadium Skytrain Station. 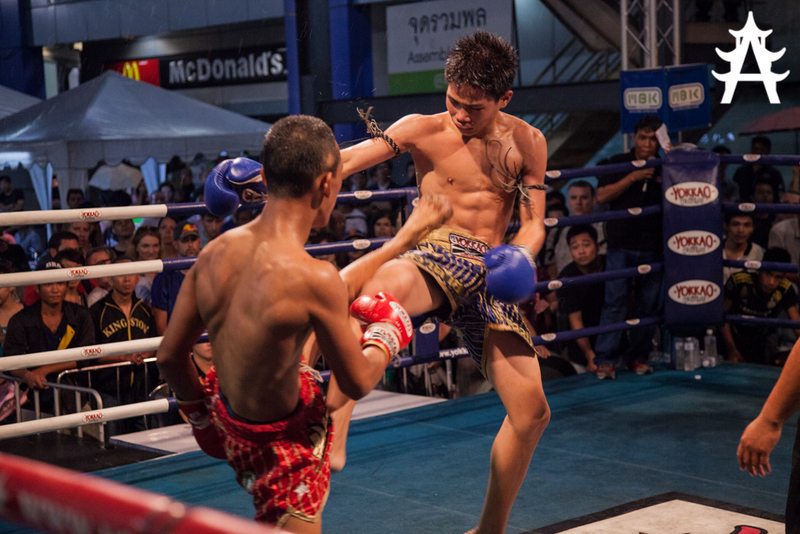 The event starts at 6PM and involves a couple different fights, male and female, in different weight classes. 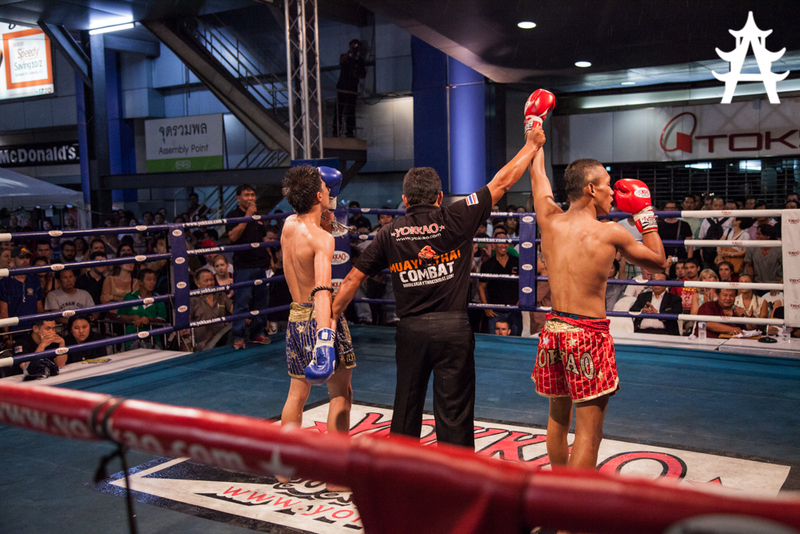 I enjoyed the event, there is a lot of ceremony before and during the fight, the fighters parents are worshipped, and the whole preparation feels a bit like meditation. 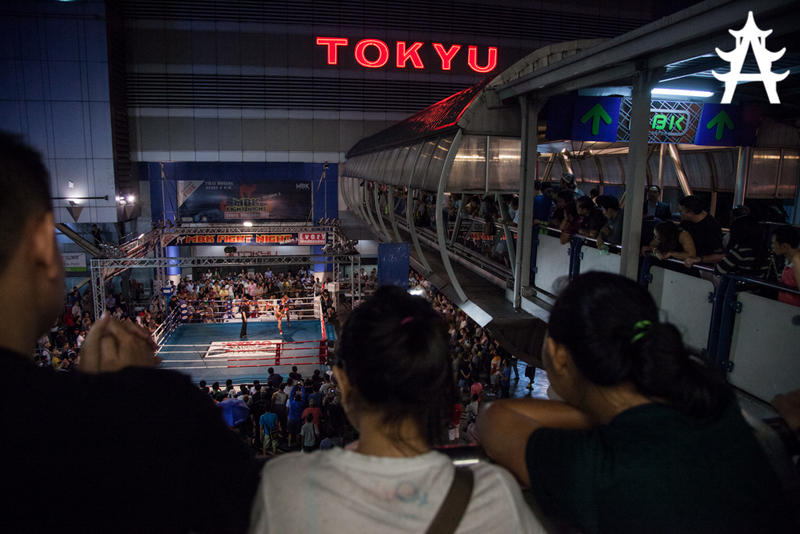 When the fights finally began, the whole area quickly filled up with people gathering, even from high up, on the Skytrain station. I made it to convince the security guys that I am a member of the press, so I was able to shoot the fights from much closer, standing next to the red corner. The fights were intense, quick and physical. In the end, the points of the four judges are collected, and the winner is announced. 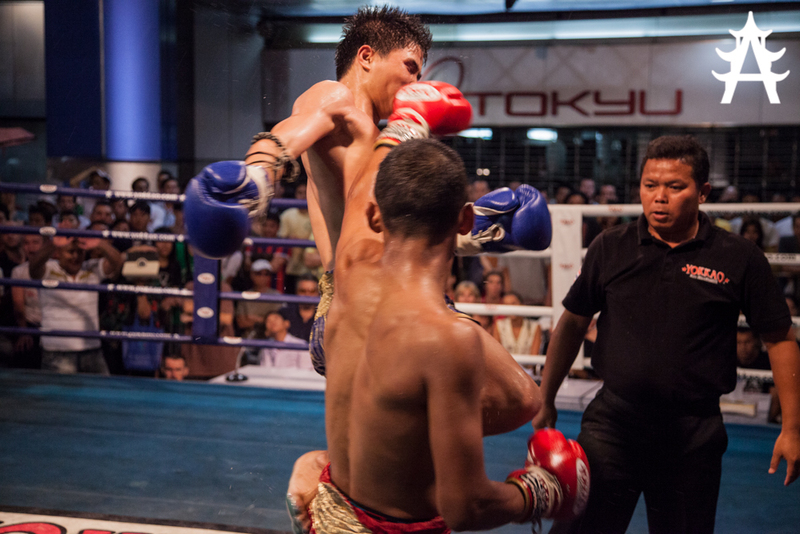 I was never really interested in boxing in the western world, but this traditional sport, together with the ceremony that comes with it is something very different. 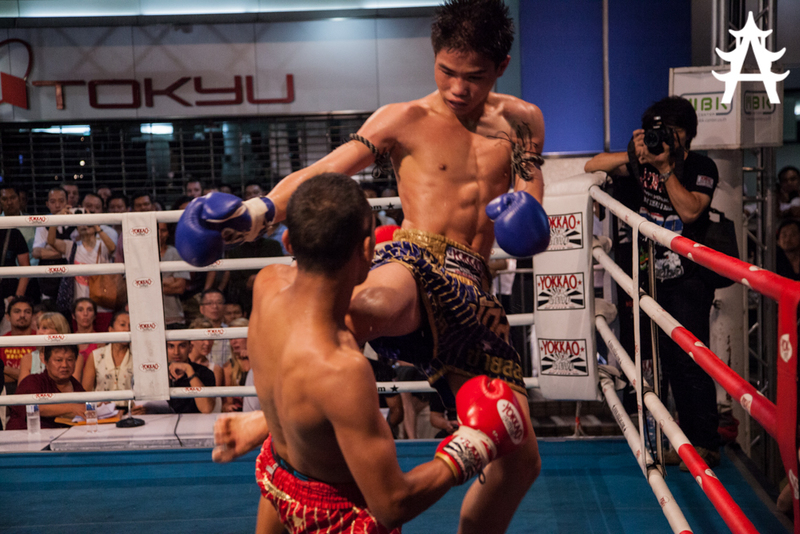 I am pretty sure it will not have been the last time I have watched Muay Thai. BTW: The best way to follow my photos, travel route and stories is the Asia Adventure Page.